Multiplatinum GRAMMY Award-winning recording star Lorde will curate the soundtrack album for the upcoming third installment of the global blockbuster The Hunger Games franchise, The Hunger Games: Mockingjay - Part 1. In addition to hand-picking the artists for The Mockingjay - Part 1 soundtrack, Lorde will provide the first single for the highly anticipated film and album. The soundtrack will be available via Universal Music this year. 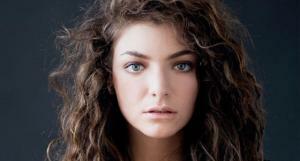 The 17-year-old New Zealand native -who will embark on her third national North American tour this fall- exploded onto the scene with her Number One global hit "Royals," and has taken the music world by storm since the release of her critically acclaimed multi-platinum debut album "PURE HEROINE" [Universal Music NZ]. Her single 'Royals' helped earn two Billboard Music Awards for 'Best New Artist' and 'Best Rock Song,' and two GRAMMY Awards for ‘Song of the Year’ and ‘Best Pop Solo Performance.’ She currently holds the record for 'Longest #1 on the Billboard Hot 100 by a Female Artist in 2013' and longest standing #1 for any female artist in the Billboard Alternative Chart history. "Curating the soundtrack for such a hotly-anticipated film was a challenge, but I jumped at the chance," said Lorde. "The cast and story are an inspiration for all musicians participating and, as someone with cinematic leanings, being privy to a different creative process has been a unique experience. I think the soundtrack is definitely going to surprise people." The Hunger Games: Mockingjay - Part 1, directed by Francis Lawrence and starring Academy Award winner Jennifer Lawrence, Josh Hutcherson, Liam Hemsworth and Woody Harrelson, is the latest installment in Lionsgate’s global box office phenomenon based on Suzanne Collins’ bestselling "Hunger Games" trilogy and will be released in theatres worldwide on November 21, 2014. In other news, 17 year old Ella Yelich-O’Connor was recently nominated for two Video Music Awards for her debut single and accompanying video "Royals", placing her in the "Best Rock Video" category amongst Arctic Monkeys, Black Keys, Imagine Dragons and Linkin Park, and in the "Best Female Video" category alongside Ariana, Beyonce, Iggy Azalea, and Katy Perry.